Wat is dit voor site? Wij zoeken de goedkoopste boeken op internet. 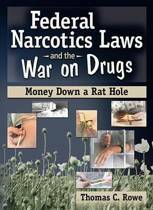 Federal Narcotics Laws and the War on Drugsvonden we het goedkoopst op Bol.com voor €70.99. We hebben gezocht in nieuwe en tweedehands boeken. Rechtsonderaan de pagina kan je het boek direct bestellen	via Bol	.com. We're losing the war on drugs but the fight isn't over yet Federal Narcotics Laws and the War on Drugs examines our current anti-drug programs and policies, explains why they have failed, and presents a plan to fix them. Author Thomas C. Rowe, who has been educating college students on recreational drug use for nearly 30 years, exposes the truth about anti-drug programs he believes were conceived in ignorance of the drugs themselves and motivated by racial/cultural bias. 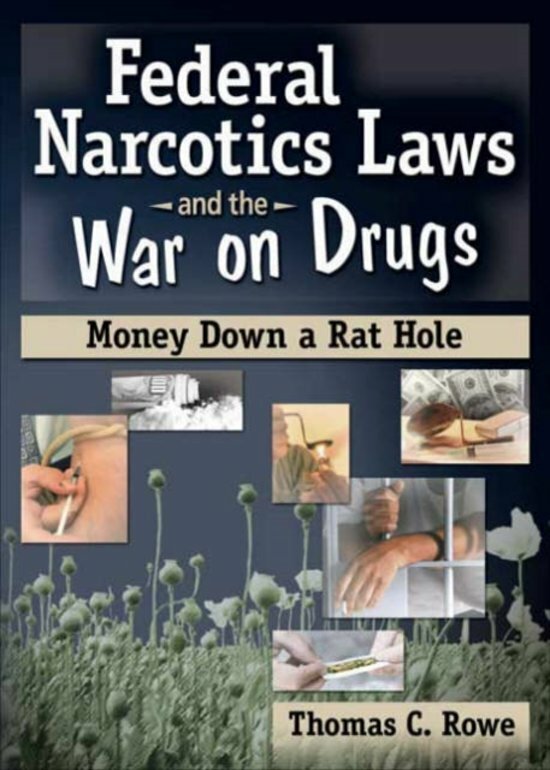 This powerful book advocates a shift in federal spending to move funds away from the failed elements of the war on drugs toward policies with a more realistic chance to succeed the drug courts, education, and effective treatment. Common myths and misconceptions about drugs have produced anti-drug programs that don't work, won't work, and waste millions of dollars. 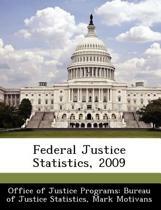 Federal Narcotics Laws and the War on Drugs looks at how and why this has happened and what can be done to correct it. The book is divided into How did we get into this mess? which details the history of anti-narcotic legislation, how drug agencies evolved, and the role played by Harry Anslinger, Commissioner of the United States Bureau of Narcotics from 1930 to 1962; What works and what doesn't work, which looks at the failure of interdiction efforts and the negative consequences that have resulted with a particular focus on the problems of prisons balanced against the drug court system; and a third section that serves as an overview of various recreational drugs, considers arguments for and against drug legalization, and offers suggestions for more effective methods than our current system allows. Federal Narcotics Laws and the War on Drugs also examines: the creation of the Federal Bureau of Narcotics current regulations and structures current federal sentencing guidelines current state of the courts and the prison system mandatory sentencing and what judges think interdiction for heroin, cocaine and crack cocaine, and marijuana early education efforts the DARE program drug use trends drug treatment models the debate over legalization Federal Narcotics Laws and the War on Drugs also includes several appendices of federal budget figures, cocaine and heroin purity and price, and federal bureau of prisons statistics. This unique book is required reading for anyone concerned about the drug problem in the United States and what is and isn't being done to correct it.